Alaska is synonymous with the Iditarod, a 1,000-mile dogsled race across the state’s harsh winter terrain, but there is another race that also puts competitors to the test while traversing The Last Frontier. 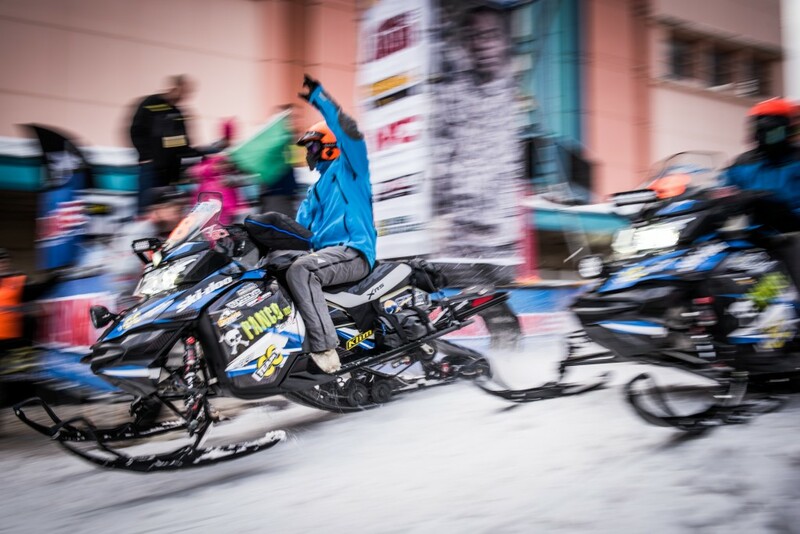 The Iron Dog is a 2,031-mile snowmobile race from Anchorage to Nome, finishing in Fairbanks. It is the longest snowmobile race in the world. 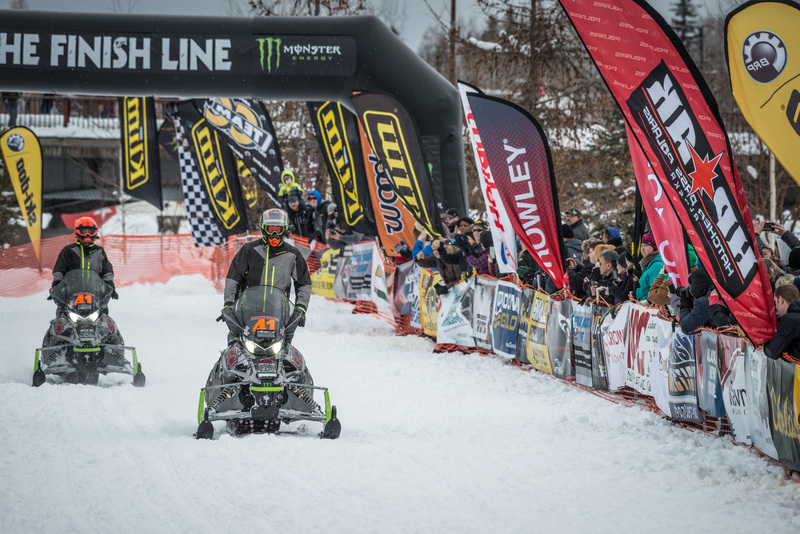 The race, which began in 1984, was initially 1,000 miles from Big Lake to Nome, but expanded at the 1994 competition and is now more than double the original distance. Riders, who compete in pairs, start out on the 1,000-plus mile historic Iditarod Trail toward Nome. Following a mandated layover, they pick back up, riding some 800 miles on the frozen Yukon River to the finish in Fairbanks. 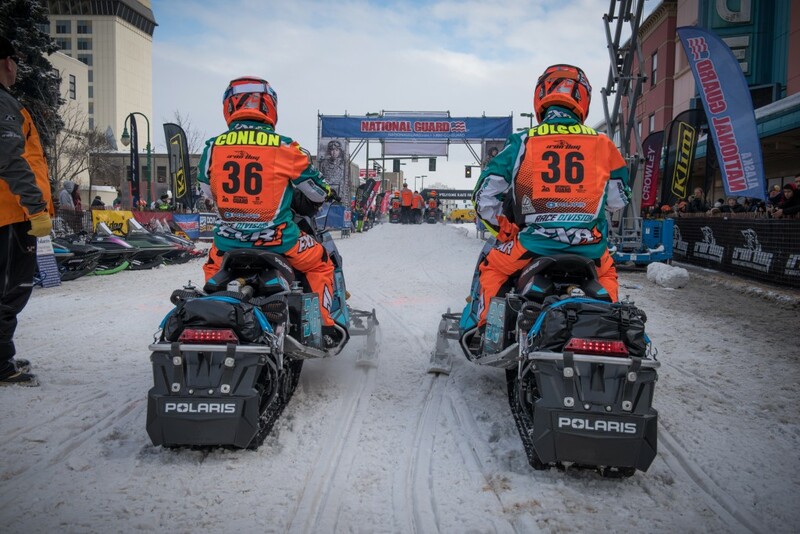 Cory Davis and Ryan Simons (Team 41) were first to cross the finish line in downtown Fairbanks at 40 hours, 58 minutes and one second to win the 2017 race. Davis is the second second-generation competitor to win Iron Dog, following Scott Faeo’s victory in 2015. Davis’ father, Scott, is a seven-time winner of the event and is in the Iron Dog Hall of Fame (coincidentally along with Faeo’s father, John, who is also a seven-time winner). The race is far from a leisurely cruise along the endless stream of white snow and ice that blankets Alaska. 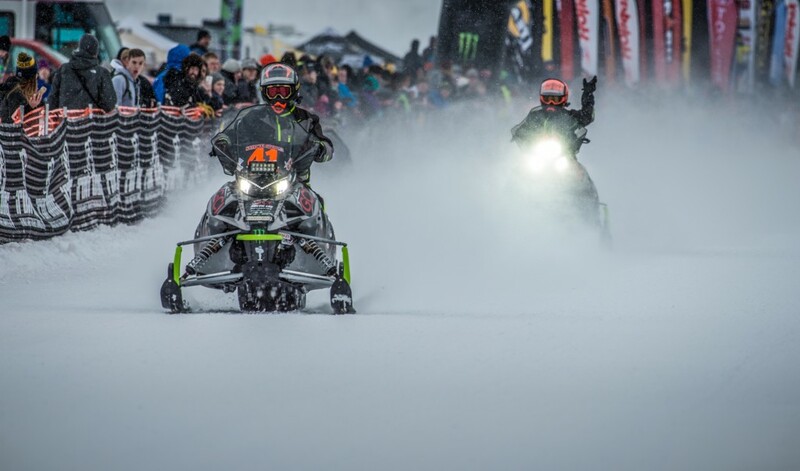 It is referred to as the “the world’s longest, toughest snowmobile race” for a reason. Riders are subjected to sub-zero temperatures throughout the journey as well as bone-chilling winds. It’s no surprise that equipment, apparel, and preparation are equally as important to the actual ride. Riders wear padded waterproof gloves that can handle the seemingly endless pressures of constantly hanging on at speeds of 80-90 mph for 2,000 miles as well as keeping the hands from getting wet or going numb. Layering pants, hats, shirts, and jackets is commonplace. 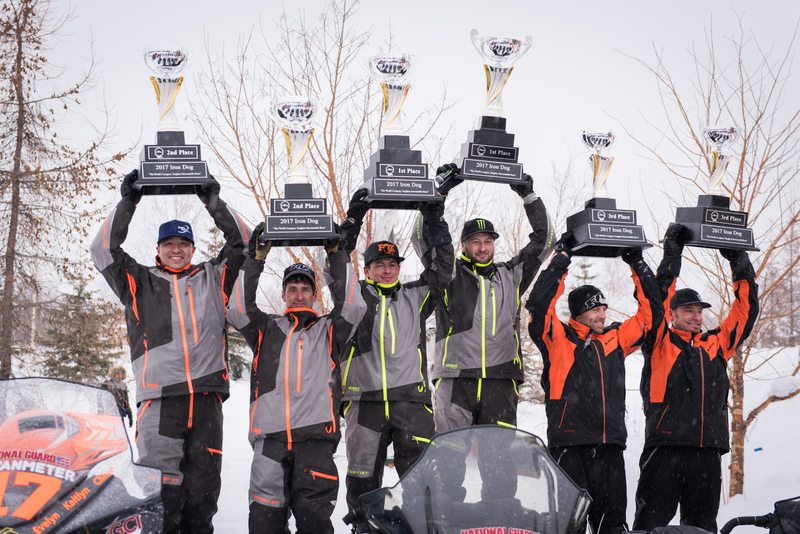 Competitors keep their feet warm and dry with “Bunny Boots“, and their water from freezing by wearing it on their backs underneath their insulating layer and/or relying on a small tank that utilizes the heat from the snowmobile’s exhaust to keep the water in liquid form. 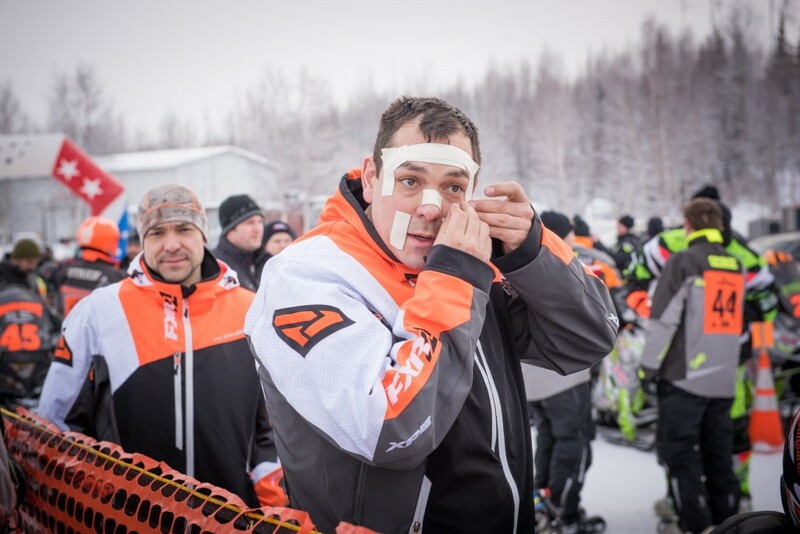 Racers also put Duct tape or surgical tape on their faces to protect exposed skin not covered by goggles or helmet because frostbite will damage any unprotected skin almost instantly. According to the race’s website: “Racers are required to pack a tent or a Bivy sack, 5lbs of tools, a First Aid kit, and must also have studded tracks and an extreme cold rated sleeping bag.” You can check out a sample checklist of all the survival gear needed for the race. Riding through such hostile conditions can lead to a bevy of injuries and ailments including broken ribs, frostbite and dehydration, but thankfully no deaths have been directly related to the race. Yao Ming stands at a towering 7 ft. 6in (2.3m), but his impact on the National Basketball Association and the game’s growth in his home nation of China dwarfs his skyscraper-like stature. Former New York Giants running back Tiki Barber rushed for a team-record of 10,449 yards over 10 seasons in the National Football League. His longest play was a 95-yard touchdown run in 2005. Understandably, running the 26.2 miles that comprise a marathon would take some adjusting to.